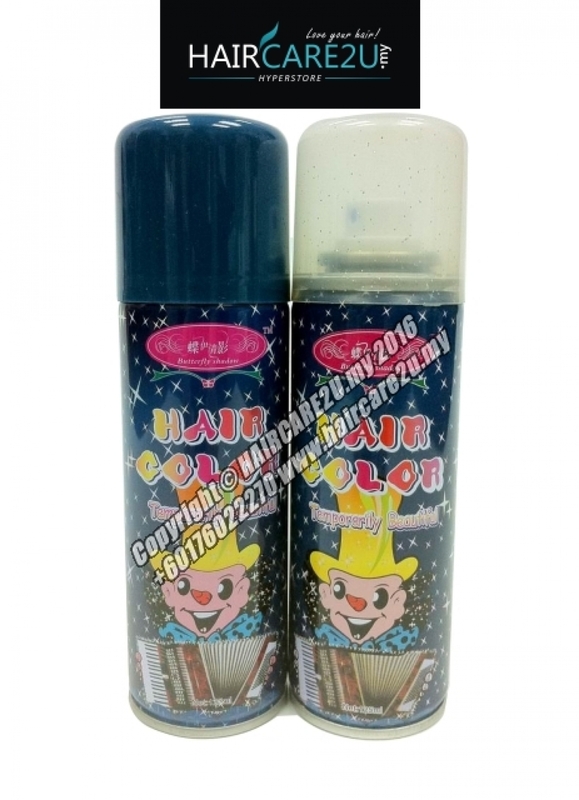 This product adopts the advanced formulation and modern technique in perfect combination, containing the hair protecting factor, having fresh color, fixing the hair style without hurting the hair quality, allowing the hair to change its color in few minutes. You can choose your favourite color to fit your dress, let the hair have moistened luster and your life be moue varied and graceful. Before the use, keep the hair clean and fresh, shake the product well; it is better to spray the product on the dry hair at a distance of 20-30cm from the hair. Several color can be sprayed locally by the discretion of your creativity freely. Ordinary shampoo can be used for rinse. Note: For Sabah & Sarawak customers, this item contains hazardous material which prohibited to ship by air freight and the only way to ship by sea freight only and it will takes 3-4 weeks to reach your doorstep, sorry for the inconvenience caused!